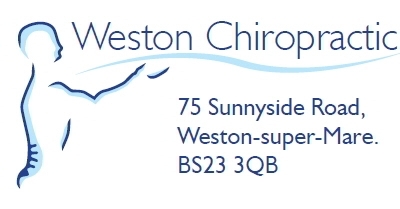 Located in the heart of North Somerset by the sea, Chiropractors at Weston Chiropractic Clinic are dedicated to helping you achieve your optimum health potential. Dr. Lee Harvey and Dr. Richard Sutton (Doctors of chiropractic) are committed to bringing you better health by teaching and practicing the true principles of chiropractic health care. Patients seeking treatment at Weston Chiropractic Clinic with both Dr. Lee Harvey and Dr. Richard Sutton are assured of receiving only the finest quality care supported by the use of modern chiropractic X-rays and scanning equipment. All the staff from reception, chiropractic assistants and of course the chiropractors will work hard for you, to achieve the results we all want. For almost 40 years, Weston Chiropractic Clinic has played a major role in improving the health of thousands of people with conditions ranging from back pain, neck pain, headaches, musculoskeletal complaints, joint pain and sports injuries. We pride ourselves on being ‘patient focussed’. You will be kept informed of the progress in managing your condition and treatment, with the guidance of your chiropractor, will participate fully in your care, adjustments, treatment and recovery. The focus of our clinic is to provide quality chiropractic care that uses a variety of specific chiropractic manipulation techniques, acupuncture & activator methods to remove dysfunction from the spinal joints. This removes interference to the nervous system by taking away ‘pressure’ on the spinal nerves thereby allowing the body to reach its optimum health. Chiropractic is drug-free. Chiropractic is safe and natural. Chiropractic is continually backed by research and enjoys one of the highest levels of patient satisfaction in health care.